In the summer, a few alumni currently playing at the NCAA level return to the Starz sidelines. Ben Fujinaga ’17, a player who worked his way from the HS United team to attending a great school (Haverford College) and lacrosse program, is one of those coaches. When he isn’t on the field, Ben will be working at a paid internship with PrimeLine as a Financial Analyst. 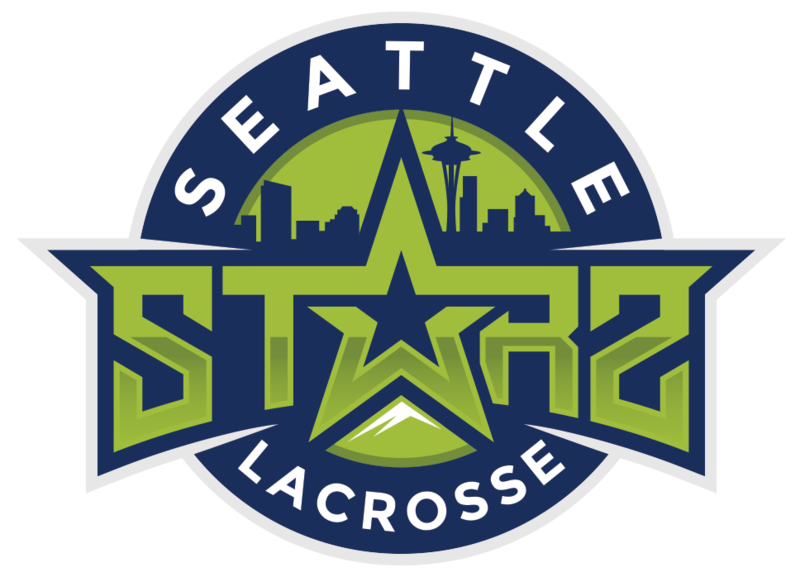 How did playing for Seattle Starz help you in your first college season? The collection of talent across the Northwest on my High School Starz team was the only real glimpse I had of what playing at the next level would be like. Having a group of guys like my 2017 Elite teammates constantly pushing each other in practice made me realize how much more specialized the game gets at the collegiate level. Biggest difference is easily the Lacrosse IQ that goes into the game. The game moves so much faster in college and everyone on the field has to be able to play at full speed all of the time in order to be competitive. Best piece of advice I ever got from a coach was that I was too small, too short, and too slow to ever play lacrosse and that I should quit before I got seriously injured. Obviously not the cliché focus on the little things or work harder. However, by telling me this in the summer before my freshman year of high school he ensured that, while I may not have gotten as tall as I would’ve liked, I would be the player spending late nights on the field, getting up early to shoot before school, sprinting up hills, and working on the wall. So, simply put, I learned that I would need to work harder for everything I wanted out of the game. What made Haverford the right school and program for you? For me my decision to play college lacrosse was 2 part. I obviously wanted to attend a school where there was a strong lacrosse program, but I also knew that I would not do well at a school where I was not challenged academically. Haverford is a college traditionally known for its stellar academics and the long hours that students spend in the library. 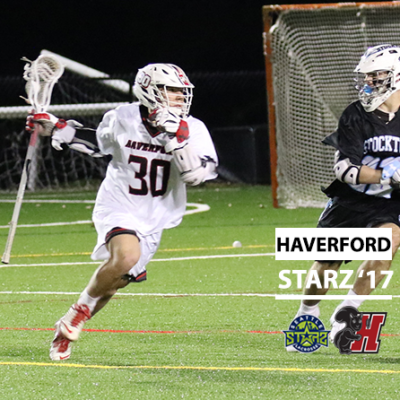 However, Haverford is also in the Centennial conference, one of the most competitive in D3 lacrosse, so the level of competitive lacrosse was also there. So, due to the phenomenal combination of a prestigious school and a competitive program in a competitive conference Haverford was the right place for me. Being a student-athlete especially at Haverford is extremely difficult. Our team has a rule that you are not allowed to use lacrosse as an excuse for school and that you are not able to use school as an excuse for lacrosse. So, I would say that the hardest part of being a student-athlete is being able to consistently perform on the field while also having the grit to stay up late and get up early in order to maintain a solid academic standing. I would tell any younger lacrosse player to look inside and not out. By this I mean that if something doesn’t go your way or you think that you are treated unfairly look inside of yourself instead of at others. It can be so easy blame others for what is wrong with your game or your genetics for why you cannot make a team etc. If you don’t think you can shoot as well as someone else get out on the field and shoot. If you think you’re the smallest person on the team focus on being the quickest instead of feeling sorry for yourself. I wanted to coach for Starz this summer for multiple reasons. First, I love the game. I think that any player or parent who has seen me coach would notice this. I want to spend as much time around lacrosse as I can and coaching was a great opportunity to do so. Second, I know firsthand how frustrating it can be to not be as good as you want to be. I wish that I had someone who was a college player there supporting me as a younger player and I feel obligated to pay the support that Starz gave me back into the program so that the next generation of Starz players can be the best that they can be. Finally, I wanted to coach because I always have wanted to draw up plays and win games from the other side of the game. Question from previous Alumni Spotlight: What do you miss most about HS lacrosse? I miss the connections I have to the Seattle lacrosse community. The community here is small but very tight and I could always count on having lacrosse friends all over the state. In college I feel much more isolated from the “I’m not from a hotbed; let’s prove to everyone we can play” mentality. Give us a question for the next ‘Alumni Spotlight’ person. What was your welcome to college lacrosse moment?